Two Daughters: Tami Jennings Ramsay living in Athens, Ga. and Traci Jennings living in Myrtle Beach, More…SC. Two grandchildren. The class of 1967 did not have senior quotes. If we had mine would have been "Walk softly but carry a big stick." Enjoyed every minute of it! Especially remember sneaking over to the gas station at lunch time for coke and crackers (and a smoke?) Favorite memory is being on the basketball team that won the state championship. I kept the bench warm but enjoyed the celebration with the team and classmates in Columbia. Those were the days...would not take a million dollars for all of the memories. Not one single regret about how the road I traveled led me to where I am today. Emma Ramsay is now 13 and Beck is 9. They are the sunshine in my life. Enjoyed it all..... especially the hallway chats, ball games, Easter weekend in Ocean Drive, rocking at the Beach Club. Don't dwell on the past but remember it well as you only go around once in this life. Be sure to share with your grandchildren all of the experiences of your friendships, loves found and lost and encourage them to remain true to themselves. Waiting on retirement to come my way. Sooner than later, I hope. Spent a week with the Rolling Stones when they were in Myrtle Beach. Darlene Jennings has a birthday today. Ann Ward Goodwin posted a message on Darlene Jennings' Profile. Hope you have a fantastic birthday. You have always been a wonderful sister, friend, and mother to your girls, and a fantastic grandmother to Emma and Beck, I'm sure. Would love to be there to celebrate your very special day. Love you. 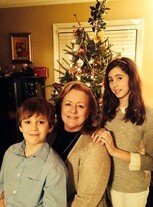 Darlene Jennings updated profile. View. Darlene Jennings changed profile picture. 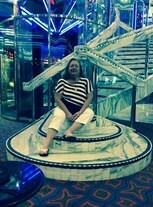 Darlene Jennings changed "Now" picture. Darlene Jennings joined via Class Connection Facebook app.